Bending reality and changing the rules of combat. Dive into a universe where ancient magic co-exists with deadly weaponry, and experience a revolution in multiplayer FPS gaming. Purchase advanced technology and magic for each round in an extraordinary arms race to improve your abilities and open new tactics for your team. Use your cybernetic eye to spot your enemy through walls, teleport behind your opponents in the blink of an eye, trigger a hologram as a distraction, and cut them down with a burst from your rifle to clear the room before they even know you are there. Intense cross-platform multiplayer action. 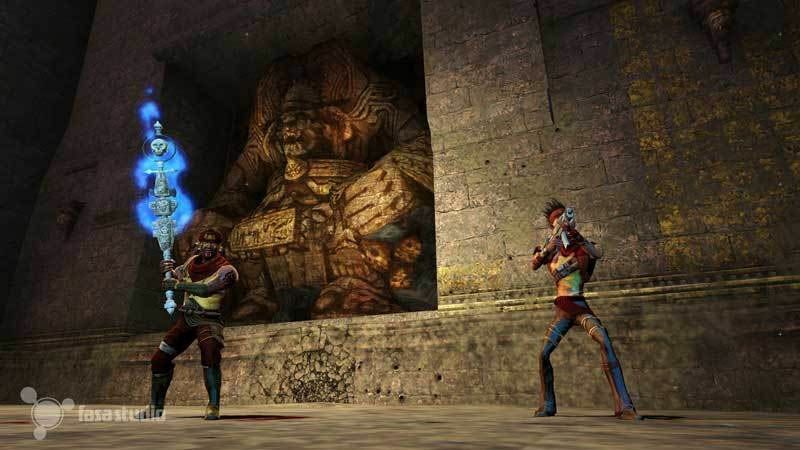 For the first time ever, Xbox 360 and Windows Vista gamers can compete as a team or as foes. 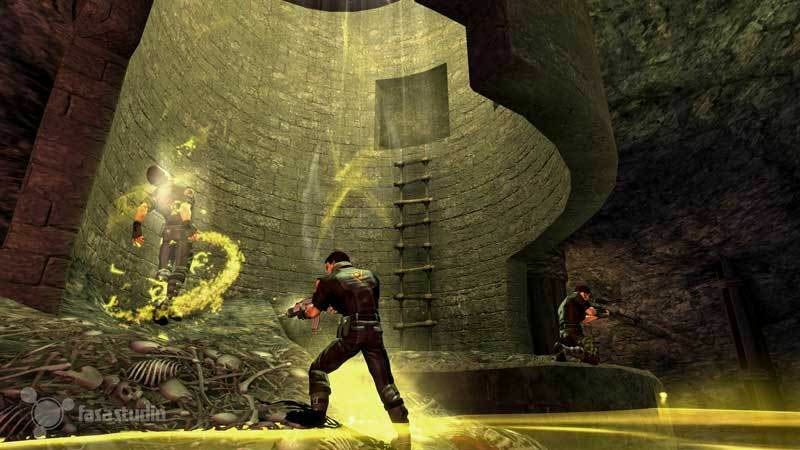 Experience a quantum leap in interactivity as console and Windows Vista-based PC gamers battle for supremacy online via Windows Vista and the Xbox Live® service. While “Shadowrun” gamers will battle endlessly for the right to be crowned the last man standing, they will also struggle to answer the question of which is the more-efficient killer: a Windows®-based PC or Xbox 360. Through the unprecedented cross-platform functionality, up to 16 gamers using both a Windows-based PC and the Xbox 360 console will participate together in the ultimate multiplayer frag-fest. Don’t be sidelined onto one platform: Control your own destiny and play on the console or the PC. The Windows Vista experience. 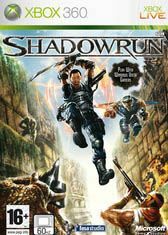 Windows gamers can participate in their own next generation of gaming as “Shadowrun” ushers in the era of Windows Vista. Through the power of the Windows Vista platform, “Shadowrun” promises a visually stunning, over-the-top action experience. Classic races reinterpreted for a new world. Experience the thrill of combat as magic reawakens creatures of legend. Humans are joined by elves, dwarves and trolls in a battle for supremacy among soaring corporate towers and an ancient ziggurat of power. Strike a balance on your team with races possessing unique abilities that complement your weapons and tactics. In its essence, Shadowrun is a first person shooter that is extremely reminiscent of Unreal Championship where the gamer must be engage in either bots or other players and even XBox 360 live. Microsoft have also set a precedent allowing both PC and XBox 360 players to engage in online battles which is definitely a first in cross-platform gaming. As the Shadowrun universe is quite diverse, the developers have created a variety of tutorials that teaches the gamer how to use weapons, learn about different races, use cybernetics and how to use magic successfully against opponents. These tutorials are quite entertaining and once you have finished the tutorial, you have the option of competing against bots and using the skills that you have leant against other opponents. Each of the races also have their own pros and cons such as the Elves being unnaturally fast, have the ability to regenerate but their overall health is weaker than humans. Dwarves on the other hand can siphone magic from their foes and have a higher health level than Elves and are must slower on their feet. Needless to say that each race was a treat to play, however gamers will select their favourites. It should also be noted that after winning a game, your team is awarded cash that can then be purchased to buy upgrades such as cybernetics, magic, equipment and weaponry. The title contains a variety of spells such teleportation or strangle which allows you to strange your opponents through a fortress of crystals. Of course as with magic and cybernetics, these can only be used for a certain amount before your powers need to regenerate. However in order to truly master Shadowrun, a good gamer will need to combine all these elements successfully into their team to ensure that you have a varied crew of healers and gun-ho soldiers such as the powerful Trolls or Dwarves. Although some races regenerate their health, magic can also resurrect fallen comrades, however if the person who resurrected your character dies, then your character will also follow suit. 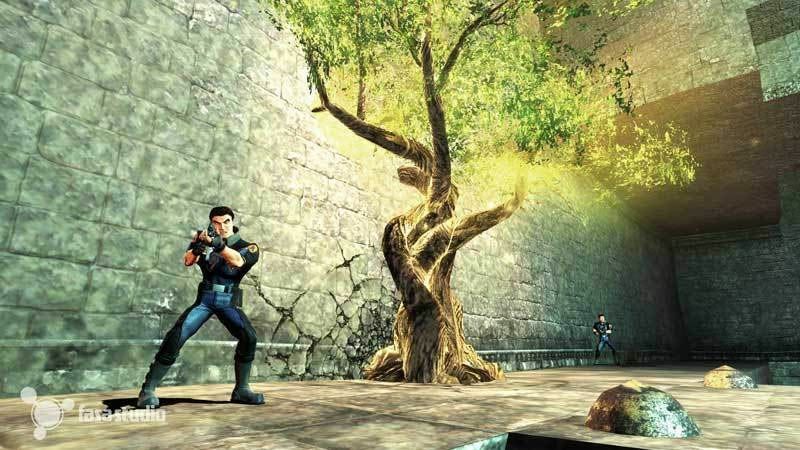 The player can also create life trees that will also regenerate your health, however it will also regenerate your enemies health, provided they are close enough. Graphically, Shadowrun is a strange game that sometimes features extraordinary graphics and other times, it is a little Spartan. The background environments are also quite detailed as are some of the characters, however there are a few nuisances in the game such as characters climbing ladders but rather than climb, they seem to float up the ladder. Fortunately the special effects such as the weapon fire and magic is rather decent. The musical score of Shadowrun suits the genre perfectly as does the voice acting and sound effects which go hand-in-hand with the gameplay. Although there is this nagging sensation that the title was upgraded from the original XBox to play on the XBox 360. In conclusion, Shadowrun is definitely an entertaining title if you are playing this on XBox Live, however for the average user that may not have internet access, the title may become a little repetitive and uninspiring as they battle bot match after bot match. It would have been nice if the developers created a single-player mode because the Shadowrun universe is extremely interesting, rather than a title like Unreal Tournament.